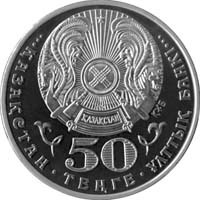 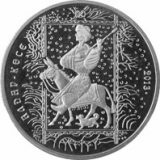 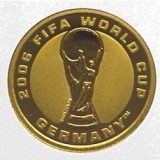 Averse: State Emblem of Kazakhstan against ornamental background; face value of the coin “50 TENGE”; “2009” means the year of coinage; legend in Kazakh “NATIONAL BANK OF KAZAKHSTAN”. 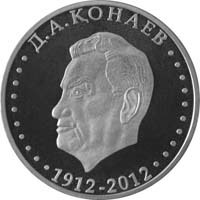 Reverse: half face portrait of Dinmuhammed Kunaev, inscription on the upper edge «D.A. 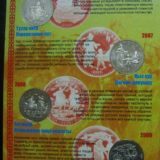 Kunaev», and years «1912-2012» that mean year of birth of Kunaev and year of issue.